Her main areas of practice are tax incentives, employee benefits, corporate and individual income taxes. 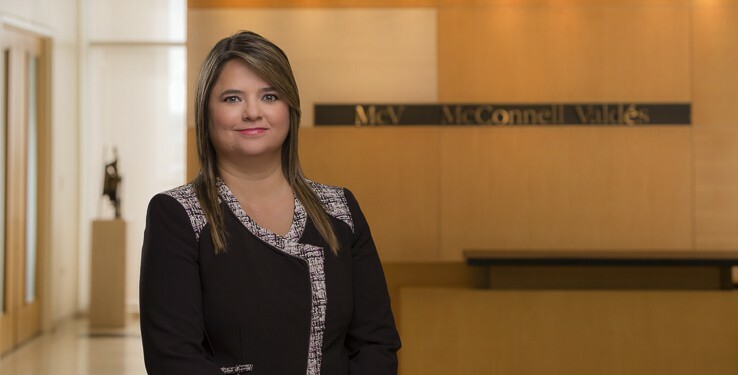 Prior to joining McConnell Valdés, Ms. González-Ibarría was a Legal Counsel with the Internal Revenue Area of the Puerto Rico Treasury Department. While with the Puerto Rico Treasury Department, she reviewed closing agreements and private letter rulings concerning a broad range of issues including general income taxation, withholding, corporate reorganizations and employee benefits matters. She was also in charge of competent authority cases. As a technical advisor, she authored and reviewed income tax legislation, regulations, administrative determinations and circular letters related to income, excise and sales and use taxes. She worked together with the United States Treasury Department and the Internal Revenue Service in the preparation and implementation of several federal government incentives to individuals and employers such as the Economic Stimulus Act of 2008, the American Recovery and Reinvestment Act of 2009 and the Hire Incentives to Restore Employment Act, among others. During her last year at the Puerto Rico Treasury Department, she participated in the implementation of the Puerto Rico Internal Revenue Code of 2011, working directly in the design, creation and revision of all forms and instructions, including individuals, corporations, flow-through entities, exempt businesses, estates and trusts. Ms. González-Ibarría has been a speaker in seminars sponsored by the Puerto Rico Society of Certified Public Accountants and spoken in training sessions for the Puerto Rico Treasury Department. She also worked as a Tax Consulting Manager in the Tax Department of Ernst & Young in San Juan, Puerto Rico.